This is the way the world is: The sun will rise, the tide will come in, the leaves will change, and Activision Blizzard will release a new Call of Duty game at the end of the year. The 2013 edition of the game hasn’t been officially announced just yet, but the expectation is that with Treyarch back in deep development mode after last year’s Call of Duty: Black Ops 2, Infinity Ward (with help from Sledgehammer Games) is set to deliver what many assume to be Call of Duty: Modern Warfare 4. While the series continues to look good graphically thanks to the 60fps present in the recent titles in the series, the game engine Call of Duty continues to rely on has already begun to show its age. With the PlayStation 4 and Xbox 720 expected out by the end of 2013, it would make sense that this is the year for Infinity Ward to finally modernizes the series, making a new, more advanced engine than its proprietary IW Engine that it’s simply been modifying since 2005. According to a job posting for a senior systems designer at Infinity Ward posted on Feb. 28, the studio is seeking a programmer that has experience with id Tech engines, particularly the level design program GtkRadiant. That name may not be readily familiar to Call of Duty’s tens of millions of fans, but GtkRadiant is a cornerstone from which Infinity Ward built the IW engine that has run all Call of Duty games. GtkRadiant is still in heavy use, but it is was originally created as part of the id Tech 3 engine designed to run Quake III: Arena, and was released back in 2001. 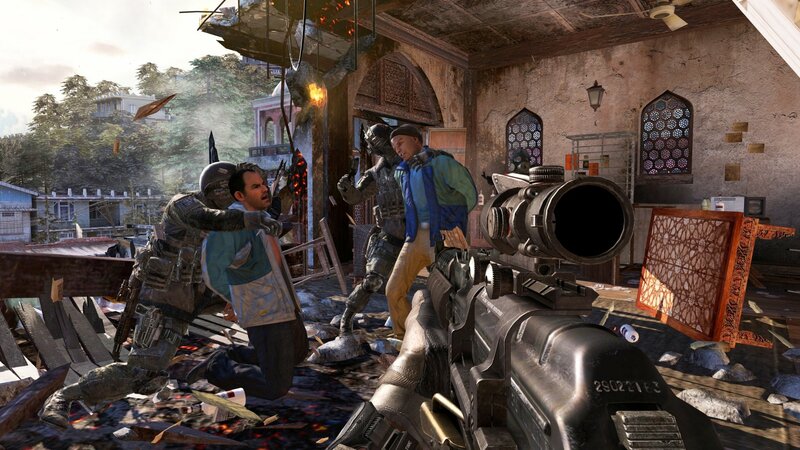 Call of Duty may modernize soon, but it won’t be this year.